If you’re concerned that the attic insulation in your home in Woodstock, or another nearby community in Georgia, is not up to the task of providing your home with the protection it needs against heat transfer, turn to the professionals at 31-W Insulation. 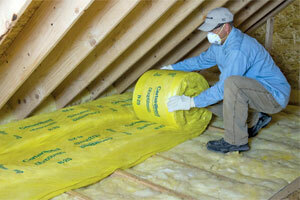 We know that having adequate insulation in all areas of your home is important, but because the attic is typically the source of the greatest amount of energy loss in most homes, it’s especially important to make sure the insulation in that room is performing optimally. Additionally, at 31-W, we offer expert installation services from some of the most highly trained and experienced insulation technicians in the country. Your attic insulation project will be performed on time, with courteous technicians who will treat your home with respect and clean any mess they make during the installation process. Plus, you can be confident that we will work hard to ensure your complete satisfaction with our products and services. This commitment to customer satisfaction has helped us earn an A+ rating from the Better Business Bureau.